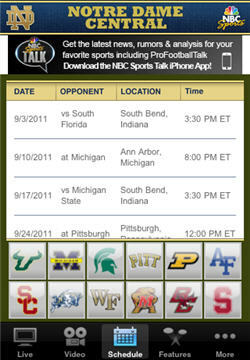 The Notre Dame Central app for both iPod and iPad has been updated for 2011 and is a must have for every Notre Dame fan. 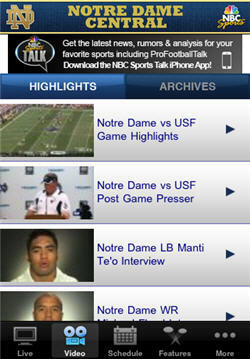 The big difference this season is that all the content, including live video of every Notre Dame Home game, is now free. 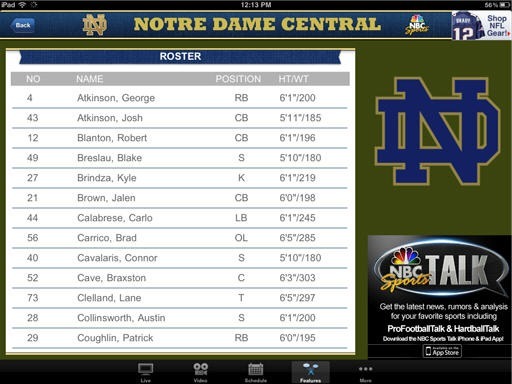 Notre Dame Central is available in both iPhone version and a Notre Dame Central HD version specifically for the iPad. You can watch the game in the smaller window above the scoreboard, or you can watch full screen. 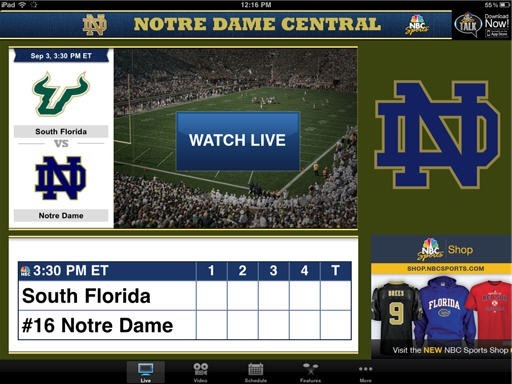 We watched much of the first quarter of the South Florida game on the iPad. The live video was acceptable, but the qua lity isn’t going to blow you away. In addition to the video you’ll get Notre Dame roster, news, scores, pictures, and video clips like highlights, press conferences, and interviews. The iPhone / iPod Touch version has essentially all the same features in a smaller format. Note: If you want to watch road games on your mobile device, any of them that are broadcast on ESPN’s family of networks will be available via the WatchESPN app. 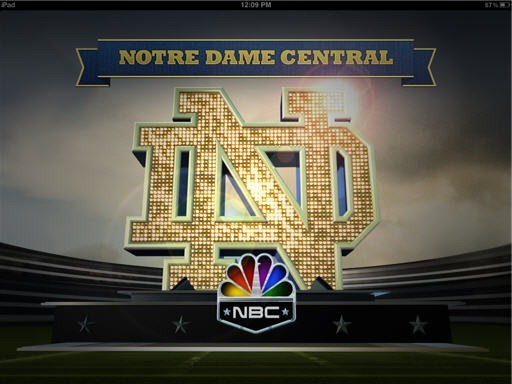 iPhone Notre Dame Central – NBC Universal, Inc.
iPad: Notre Dame Central HD – NBC Universal, Inc.